Today’s officially recognised camino routes represent a small proportion of the pathways and tracks used by pilgrims during the latter half of the Middle Ages. Many of these minor trails emerged out of necessity, the alternative winter route being one. The official Camino de Invierno (Winter Route) begins in Ponferrada and passes through the town of Quiroga on its way to Santiago de Compostela. Attacks along the camino were a real danger to pilgrims and although the area around Quiroga was protected by Knights of the Order of St. John of Jerusalem, their presence suggests a heightened threat on this part of the trail. To avoid Quiroga, some pilgrims crossed the river Sil in the town of A Rúa and headed into the mountains, passing through Puebla de Trives and on to Castro Caldelas. From here the road descends back to the river Sil where a large wooden bridge, considered one of the wonders of Galicia in the Middles Ages, crossed the river near the village of Paradela. After another steep climb, to the village of Doade, pilgrims would rejoin the Camino Invierno (winter route) in the town of Monforte de Lemos. The detour was long and arduous, reaffirming the mortal perils that awaited pilgrims along the main route. 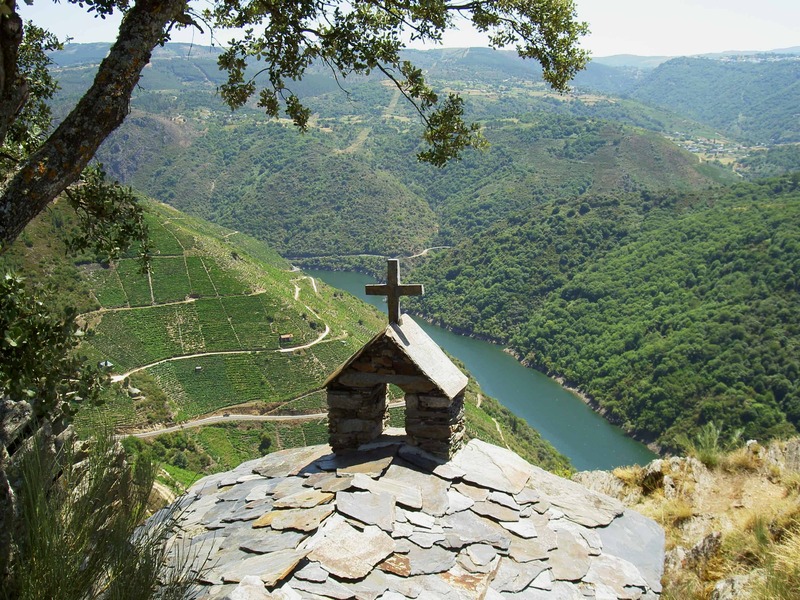 Our fifth day of exploration followed ancient trails along the Canyon of the river Sil in the heart of the Ribeira Sacra wine growing region. Once again, our starting point was the luxury farmhouse rental Campo Verde, in the village of Vilatan. 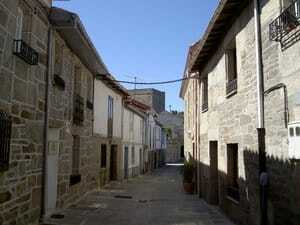 We started out by heading to Monforte de Lemos and then followed signs to Doade. As we entered the village, there was a sign on the left pointing to the Miradoiro Pena de Castelo. The Cañón de Sil is littered with miradors (viewing points); but in my opinion, Pena de Castelo is the most stunning. Be sure to take your camera: you wouldn’t want to miss this photo opportunity. The walk to the mirador is along a well-made track; shaded in some areas by pine forests and natural woodland. Perched alongside the viewing point is a small chapel dedicated to San Mauro. The view of the canyon is breathtaking: the river Sil snakes through the gorge like a giant anaconda and terraced vineyards rise over 1000 metres from its banks. To visit Galicia and not see this spectacular landscape would be like visiting Egypt and missing the pyramids. From the village of Doade we drove down the steep valley side, twisting and turning through steps of terraced vineyards to the river’s edge. The medieval wooden bridge of Ponte Paradela has long since gone, replaced by a modern crossing. Before continuing, why not stop for refreshments at the Club Nautico de Doade. A long, riverside terrace provides beautiful views of the river and spectacular aerial displays from House Martins nesting under the bridge. After quenching our thirst we continued on to Castro Caldelas. The village is set on a natural outcrop overlooking the surrounding area. The Castle and medieval village were declared a historic and artistic site in 1998. Step back in time and wander through the narrow streets. Just past the castle you’ll find the Centro Comarcal (Information Centre). There are a number of exhibitions including an interactive 3D map of the whole area: it’s certainly worth a visit. The castle is open from 10 a.m. until 2 p.m. and from 4 p.m. until 7 p.m. You’ll need a head for heights; guardrails were not part of medieval thinking, but the views from the ramparts are magnificent. The castle was constructed by Pedro Fernández de Castro between 1336 and 1343. Nearby, numerous battles were fought to gain control over the regions’ lands. Its walls display numerous coats of arms indicating its chequered past. Around the main entrance there are the coats of arms of the Osorio (two wolves), the Castro (six circular forms), the Kingdom of León (a rampant lion) and the Kingdom of Castile (a castle): and on the clock tower an inscription of the Greek letter tau is a symbol associated with the Order of the Knights Templar. After lunch at Casa Elvira, we left Motenderramo and followed signs for Parada de Sil and onward to Mosteiro de Sta. Cristina (Santa Cristina Monastery). Don’t let the steep gradient deter you from visiting; this Benedictine monastery is one of the area’s earliest, dating back to the 10th century. 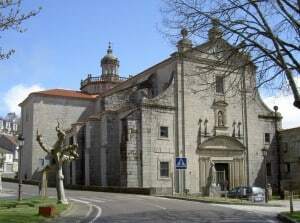 Its prominence grew throughout the Middle Ages and in the 16th century it became a priory of Santo Estevo de Ribas Sil. 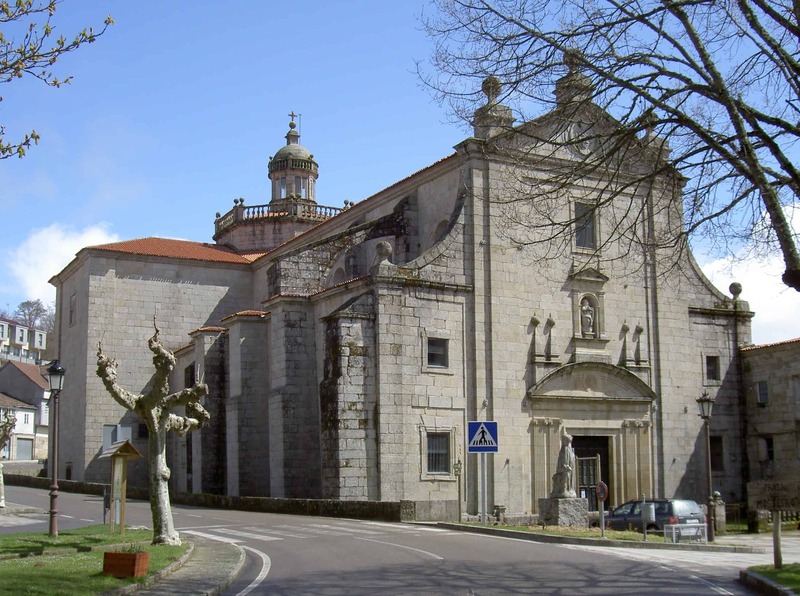 The church is one of the best examples of Galician Romanesque style of the late 12th and early 13th centuries. Once again it’s built along the Latin cross design with three semicircular naves. The main façade features a rose window. Unfortunately the church remains locked for all but special occasions; if you’re lucky enough to visit when it is open, you’ll have the opportunity to admire the Renaissance frescos. What remains of the rest of the monastery is accessed through a stone archway featuring sculptured symbols and ornaments. Only two of the cloister’s arcades remain. These can be accessed by climbing the stone steps in the far corner. The wooden floors are quite new and provide fantastic views of the river below. To continue on we retraced our steps and followed signs to Mosteiro de Santo Estevo, the final stop on today’s tour. As we approached, we caught glimpses of the monastery’s red tiled roof through the thick woodland. Follow the road to its end where you’ll find the car park. 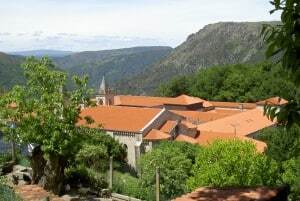 The monastery dates back to the 10th century, although some scholars believe it is built on the site of an earlier church, San Martin de Dumio between 550 and 555. Whatever its origins, by the 18th century it had become the single most important monastery in the region. The church has a Romanesque base with later, gothic style additions; these include the basilica, consisting of three naves and semicircular apses. The monastery is organised around three cloisters which are Romanesque, gothic, and renaissance in design. The facade is baroque and was built in the 18th century. In 1835 the Catholic Church sold the property to a private individual. After this the building fell into decline until, in 1923, the monastery was declared a historic and artistic site. Today, this majestic building is part of the Parador Group of hotels. Before heading back, to a relaxing evening at Campo Verde, why not rest for a while in the hotel bar, its contemporary glass frontage looks out over the three historic cloisters; and if you’re looking for a suggestion, their hot chocolate is to die for.